I could hear stirrings in the house from 4.30am, prepping for the day ahead. We all made it to the forest gate by 5.30am. . . no sleeping in with this sport!! The setup crew for the Autumn Burn headed into the forest before the main convoy of entrants, so I hooked in behind them. This gave me time to sort my gear and get photos in the dark of people moving round and the convoy of cars and trailers as they arrived in the forest clearing. Pretty chilly this morning at 1 degree. Dogs loving it!! As the sun came up, racing began, the start line position had good light. In contrast the finish line was in a dark area of the forest. 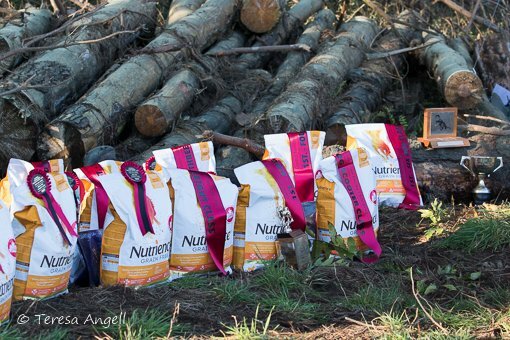 I positioned myself at the start, to get the energy and emotion of the dogs as they ready for action. Scooters – this time focusing in on the dogs themselves. Once all teams were away from the start I walked round watching teams coming in and the dogs recovering. A junior musher at the ready for the start. 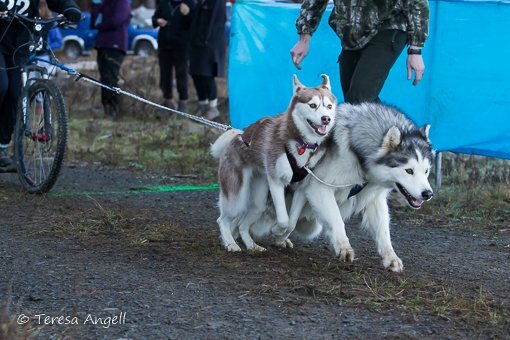 Eric quietly giving Zelda the husky her running instructions. Club members setting up and handing out the prizes. Afternoon racing at the Sled Dog Derby I again set up for shots of the start, low angle. Then turned round and caught a shot of some happy faces after crossing the finish line, emerging into the golden light of evening. The sun was setting as the rigs left the start line, and darkness had fallen by the time they made it home. I ventured out for more ghosting images of teams crossing the finish line. Once all teams were in, it was prizegiving, tidy up and then convoy out of the forest, back to the house for hot food and a drink. Bonus video of the veterans finishing on Sunday morning. 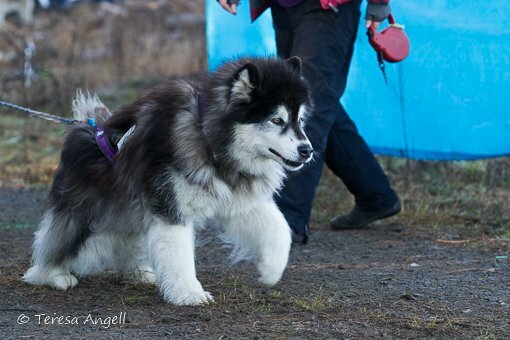 Full report on the Siberian Husky Challenge coming in the next blog.